Being a human is not just about sensing, imagining and reasoning, which all are relatively passive capacities. In addition, human beings are active and change the world around them. Yet, they do not just act haphazardly, but for reasons: they act, beacuse they feel that they should do something. In other words, they value different situations according to some standards. Wolff introduces the human faculties of valuing out of the blue. We have seen him defining perfection as an objective value not dependent on any human being: if something is perfect, it is perfect, no matter what. Now Wolff suggests that human beings can intuit or perceive things as perfect or as imperfect. These perceptions he calls respectively Lust and Unlust, which could be translated perhaps as like and dislike. Note that the two feelings of like and dislike are not the only options: one can also perceive things as indifferent. Like and dislike need not be connected with true perfection – we can like things that just appear to be perfect. In other words, knowing what is objectively good and bad – say, for our health – is completely different from feeling it in our guts that something is nice (candies) or disgusting (Brussels sprouts). Wolff also makes the suggestion that the difference between the two is only a matter of clarity and that by clarifying one's notions of good and bad, one could learn to like what is truly or invariably good. Yet, this suggestion seems somewhat implausible: although I know very well that candies are bad for my teeth, I still feel enjoyment when eating them. Even more unsatisfying is Wolff's inability to distinguish like and dislike concerning bodily feelings from those concerning other things. We have already noted that Wolff has clear dualistic tendencies and that body is for him just some external thing that happens to be constantly connected with human soul. Now, just because the body is there always disturbing the clarity of our thoughts, we have to take a special care of its perfection. At times, the body is somehow broken – Wolff speaks in a very literal manner of a cut in the continuity of a body, such as a wound is, but I think we need not follow him in this regard. Such a state of brokenness Wolff calls Schmertz, which would usually be translated as pain, but the word is truly unsuitable here: pain is a feeling, while Wolffian Schmertz is just a state of a body. Of course, this state is usually accompanied by a feeling of dislike, but only because the imperfection of the body is constantly there to remind us. If I had an ugly painting constantly in my field of vision, I would find the situation not just less uncomfortable, but also qualitatively different from a situation where I would be having a constant headache – the ugliness of painting would not concern me, but something external to me. Wolff's account of pain has a further difficulty. If Wolff is right, I will always feel pain, when I am conscious of the imperfection of my body. Yet, there are cases where this is not true. For instance, I could know that I have a tumour somewhere in my body without having any pain to show for it. Wolff might answer to me by insisting that I would indeed have a sensation of pain in this case, but it would be of so small a magnitude that I would not be aware of it. Still, Wolff's explanation fails to account for an experience familiar to all who have gone through dental surgery, that is, the anesthesia of one's mouth. 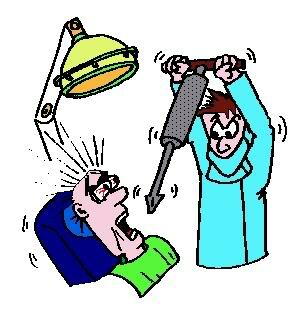 When the anesthesia is working, you literally cannot feel any pain within your mouth – for instance, you might even bite your tongue accidentally, causing Wolffian pain, but feel nothing until the anesthesia stops working. In this example, the quantity of the supposed pain cannot just be very small, because then one would still have the possibility of enlarging the pain to a level of conscious awareness – but this very awareness of pain is prevented by the anesthesia. So much for pain. Next time, we shall discuss affects.